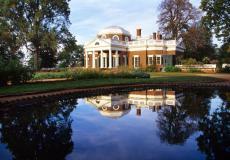 Celebrate the beginning of the holiday season at Monticello’s FREE Annual Holiday Open House. Be among the first to see Monticello decorated for the holidays as you stroll through the first floor at your own pace. Discover unique holiday gifts at the Shop at Monticello and receive a 10% off coupon towards your purchase (excluding artisan items).